Eating ramen noodles and fast food is often thought of as a rite of passage for a lot of college students who are on a budget. However, many students struggle with food insecurity, meaning they can’t afford or don’t have access to a nutritious diet. 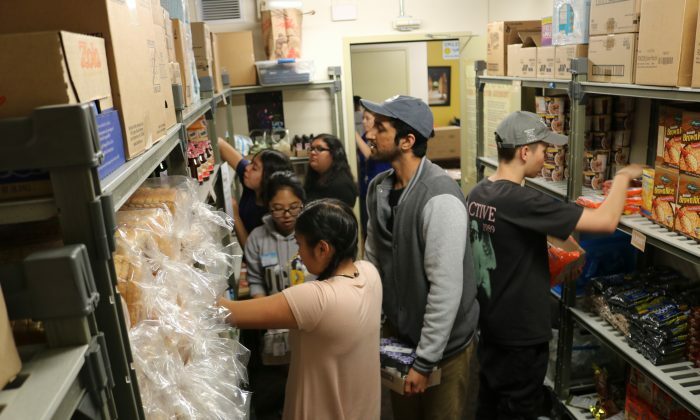 After discovering that students often skipped a meal or didn’t know where their next meal was coming from at the University of California-Riverside, the administration and students were determined to tackle the issue. The R’Pantry, the campus food pantry, and the Swipe Out Hunger student organization have joined forces, and embarked on a project called the Student Kitchen to combat food insecurity. After a 2015 study on food insecurity in UC schools was published, UC Riverside did their own study and found that 62 percent reported being food insecure compared with the system-wide average of 42. The campus became motivated to address this problem. Food insecurity is an issue that is often overlooked, but it affects students’ lives psychologically, socially, and academically. For instance, a student who doesn’t know where their next meal is coming from can’t focus on their studies as well. Psychologically, food insecurity can also cause anxiety, depression, and difficulty sleeping, which can have a detrimental effect on students’ social and academic lives. There are several factors that contribute to food insecurity among college students. First, most students are on a tight budget and are learning how to balance it. Their options are also limited, because many students commute to campus and don’t have a place to store or cook their meals. Furthermore, many of the students are the first in their families to go to college. 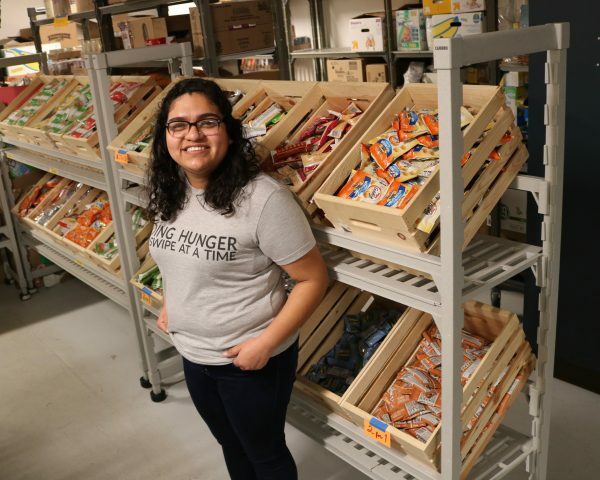 “We’re looking at whether or not students have access to healthy foods because financially they may or may not be able to afford them, but also whether or not they have spaces to prepare those foods in a way that is safe for them,” Grecia Marquez-Nieblas, coordinator of R’Pantry, told The Epoch Times. The coalition discovered that a kitchen designated for students could help address this problem, and also help students learn the skills they’ll need to cook for themselves and maintain a healthy diet during and after college. The dining staff has also advised the group on practical aspects of running a safe kitchen. The team has partnered with the Campus Kitchens Project, which is a national organization that helps run and coordinate student kitchens for guidance as well. Moreover, the effort to combat food insecurity has led to a deeper sense of community on campus as multiple student organizations have come together for the initiative. 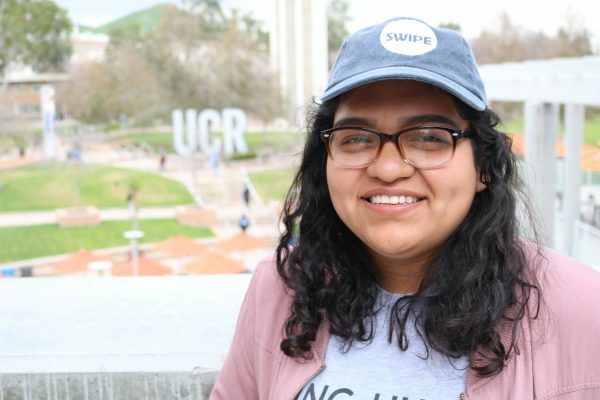 “I think seeing [the students] and seeing their commitment not just to getting a degree but to making a difference as young people with their community here on campus, it’s amazing,” Marquez-Nieblas said. The only task left it to make sure the kitchen passes campus, safety, and fire inspections. Right now, the R’Pantry and Swipe Out Hunger are getting the word out, and the kitchen should open next academic session. US Is a Land of Plenty, so Why Do Millions of Americans Still Go Hungry? Are people in the United States getting enough to eat?